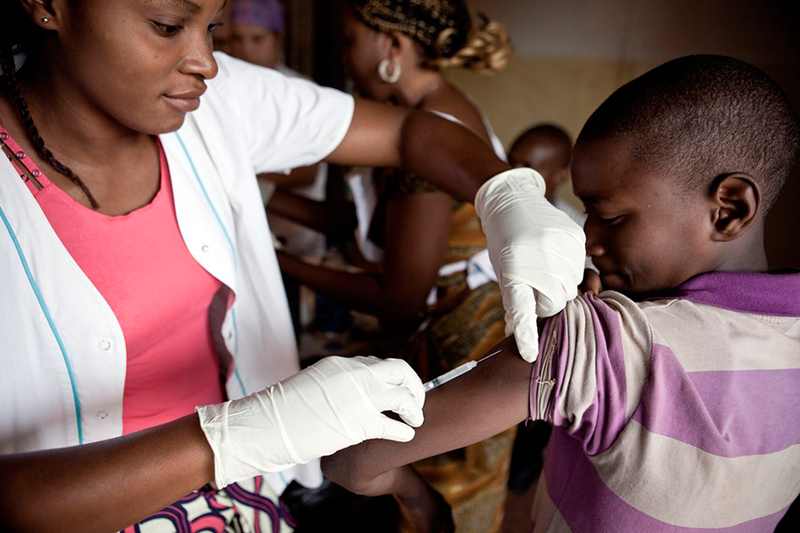 Kinshasa, Democratic Republic of the Congo – A recent outbreak of measles that started at the beginning of this year has infected 30,000 people and at least 428 have been reported dead by the United Nations. These rates have escalated in the past months. Since August, more than 100 deaths and 10,000 additional cases have been recorded despite the efforts of the UN to stop the outbreak. An amount of $2.4 million was invested in order to control the disease but it was not enough, even though it only costs $1 to get vaccinate against measles in this region. The poor conditions of Katanga’s roads and health care are slowing down the process. Also, due to poor vaccination attention and developments, the process to stop the measles outbreak is getting delayed. This highly contagious virus is most dangerous in the very young, very old and people with a low immune system. The most common complications are dehydrations, respiratory complications, diarrhea, and encephalitis. According to the medical charity “Medecins Sans Frontieres” the mortality rate is as high as 20 percent. Yvon Edoumou, spokesman for the U.N. Office for the Coordination of Humanitarian Affairs (OCHA) said to the international news agency, Reuters, “We have contained the disease somewhat in the short term, but it’s sad to see that the disease is still progressing”.